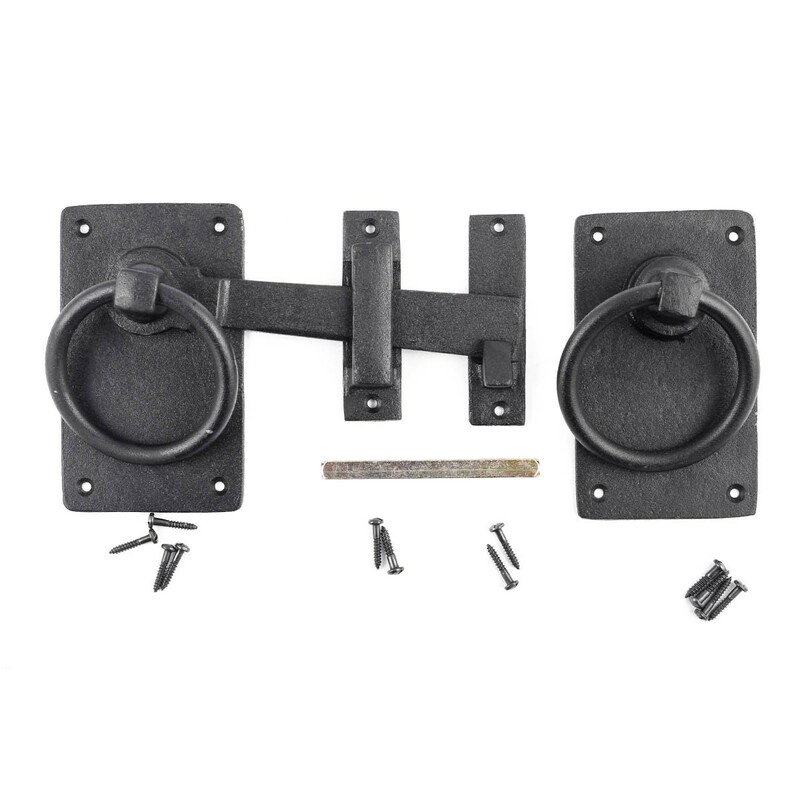 This beautifully-textured Wrought Iron Colonial Style Heavy Duty Gate Latch, is handcrafted in our New England forge by skilled blacksmiths, for strength and durability with solid construction. Wrought Iron is a great choice for updating your gates and doors, and this Gate Latch is designed with and an authentic Colonial and Country period-style...that will add to your home's appearance. 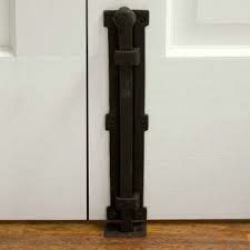 We add a black protective black finish, to protect your latch for you to enjoy for many years. 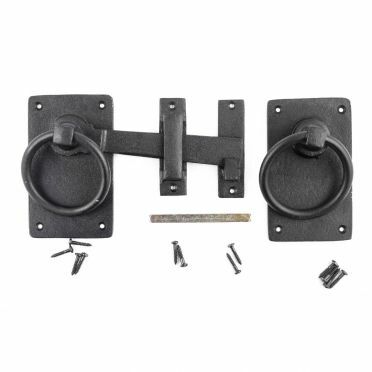 Overall, the latch bar together with the backplate, measures 9-3/4 inches in Width and 5 inches in Height, (with the latch bar itself measuring 6-3/4 inches Wide and 1-1/8 inches High). The latch's backplate measures 3 inches in Width and 5 inches in Height. The overall projection is 2 inches. (See all of this latch's dimensions in the 'Measurement Table' below). Sold individually, and all mounting hardware is included. Measures 9-3/4 inches W x 5 inch H (overall), the overall projection is 2 inches.